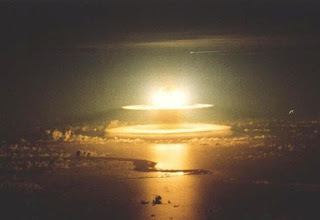 06/08/08 "ICH" -- - On the anniversary of the dropping of the atomic bomb on Hiroshima on August 6, 1945, John Pilger describes the 'progression of lies' from the dust of that detonated city, to the wars of today - and the threatened attack on Iran. UPDATE III: The video for the aforementioned Democracy Now segment with me and Dr. Nass is now available here. The transcript will be posted shortly.